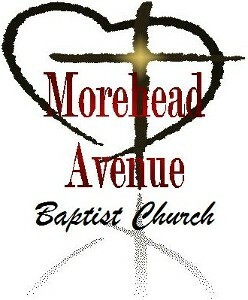 Come as you are and worship with us at Morehead Avenue Baptist Church. Our Church in Durham, North Carolina offers a variety of religious services and programs for everyone in the community to enjoy. We are predominantly an African-American church, but welcome everyone to join our body of baptized believers. You are welcomed to take part in the worship of Jesus Christ with our congregation. We have a calendar that is updated once a month that includes our services, ministry meetings and special events. Members at our Church participate in various ministries including deacon/deaconness, trustees, men's and women's, missionary, music , finance, health and wellness, pastor's aid ministries and ushers, etc. Our praise services and beliefs come from the Holy Bible, as well as the inspired words of God. Learn important values and strengthen your faith through Bible study. Learning about the word of God teaches us is that we have not begun to know all the ways it is possible to find hope. Compared to God's wisdom, we have little experience in life. Adults and youth are encouraged to join us for Sunday school that allows all to learn the core values of the holy bible. Our engaging activities for youth, strengthen their faith and learn important ideologies for them to carry with them throughout their life. With your help, we are able to reach more people throughout the community with the praise of God. Contributions may be made by cash, check or money order directly to the church. Also, contributions may be made through the website at your convenience. Please talk with our pastor or the chair of the ministry of your interest to join us. Your willingness to give your life to Christ and commit to the work of the God and Church is appreciated. We encourage you to stay involved and engaged. 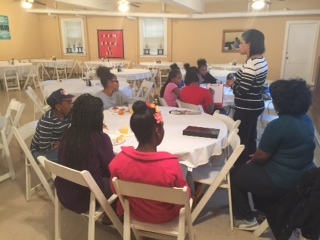 We always welcome new members and volunteers to join us in God's work.